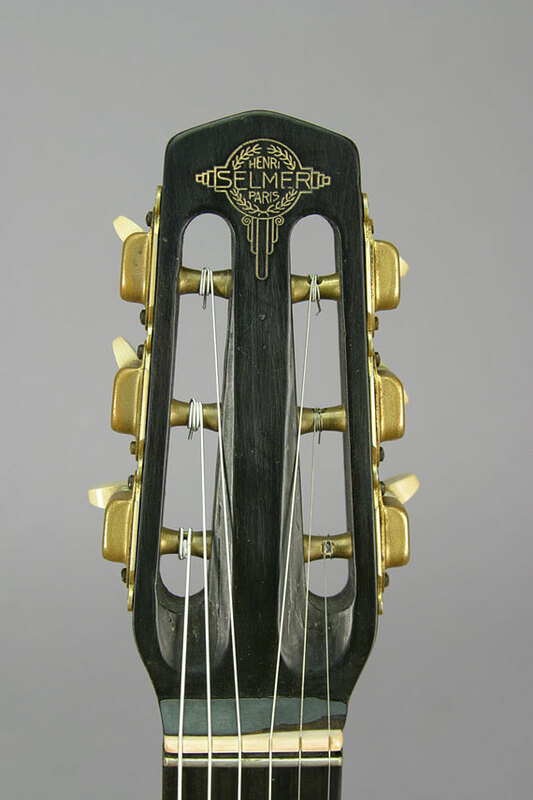 Bearing serial number 445,this Selmer has four braces under the top like the 14 fret models, but it has the shorter 25.4 inch scale of the 12 frets. 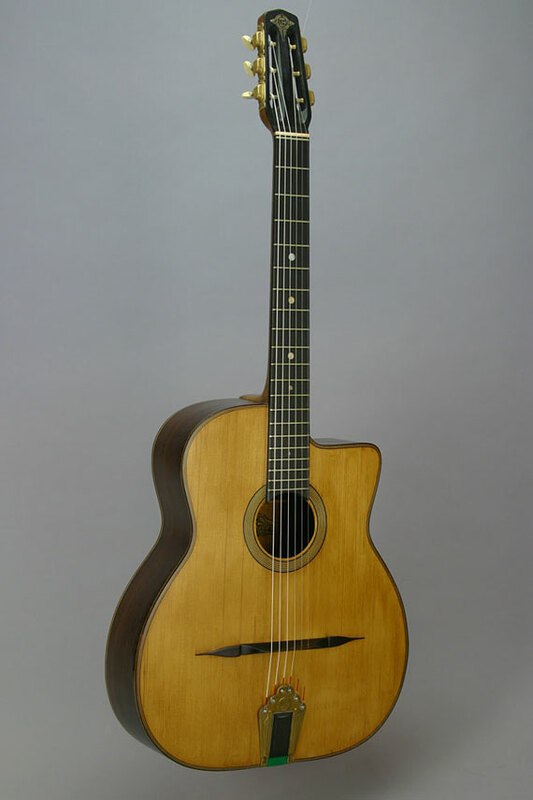 This one is a compromise at 13 frets. 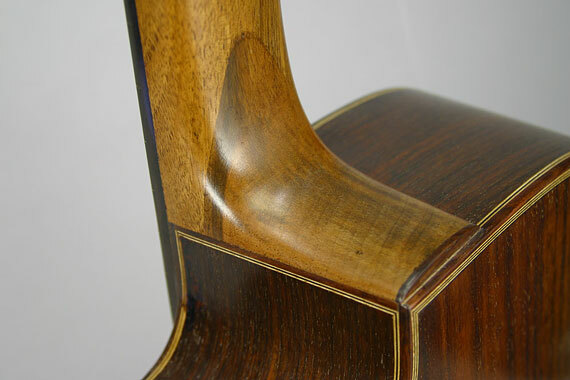 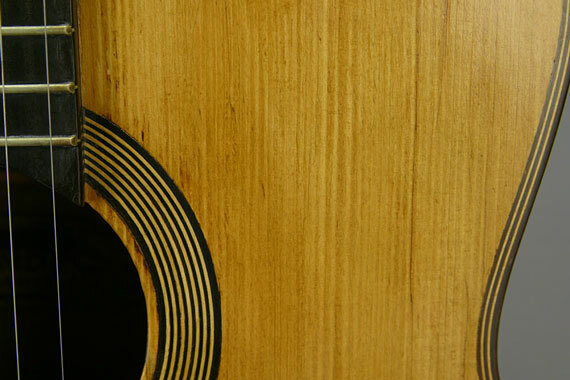 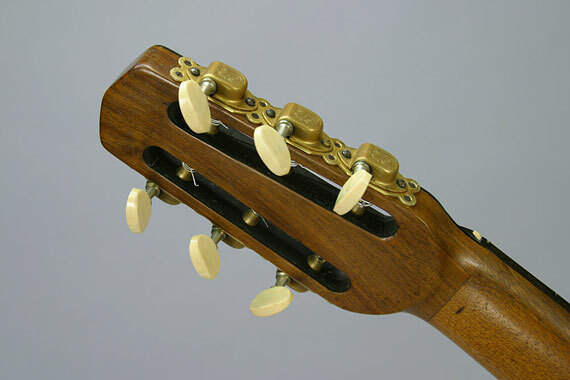 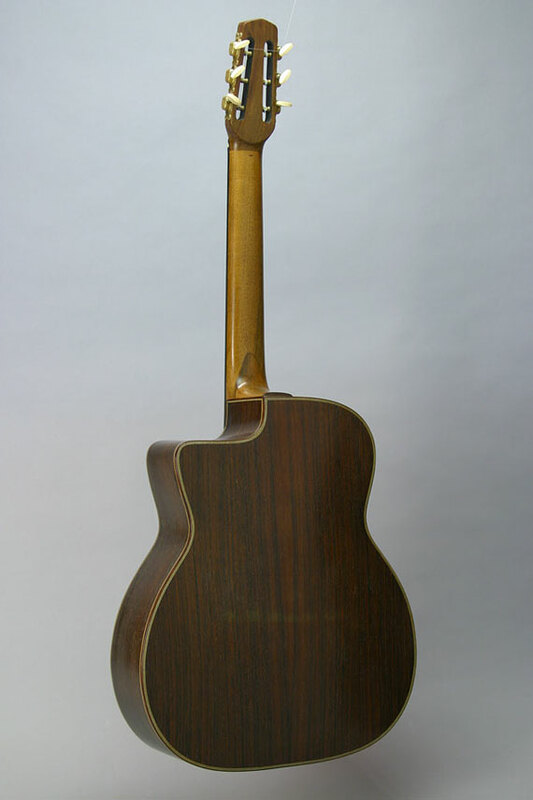 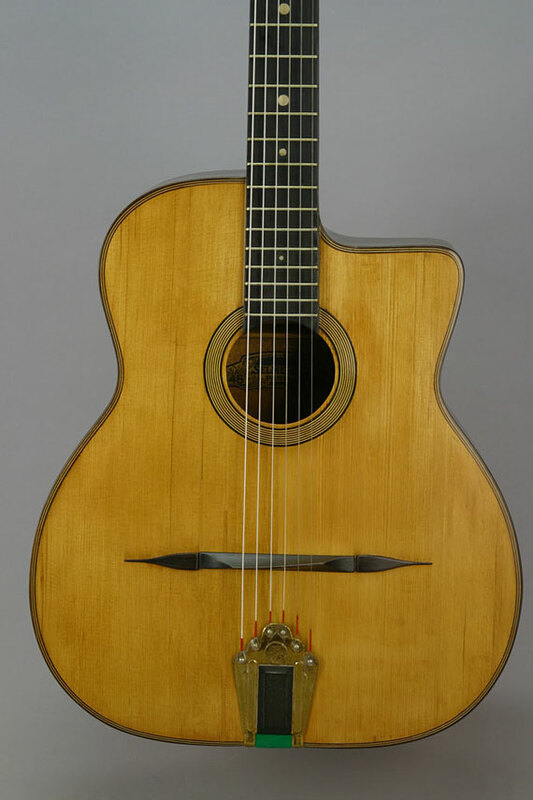 Selmer used a round hole on classical guitars, but here the purfling pattern is the same as on the Eddie Freeman tenor.